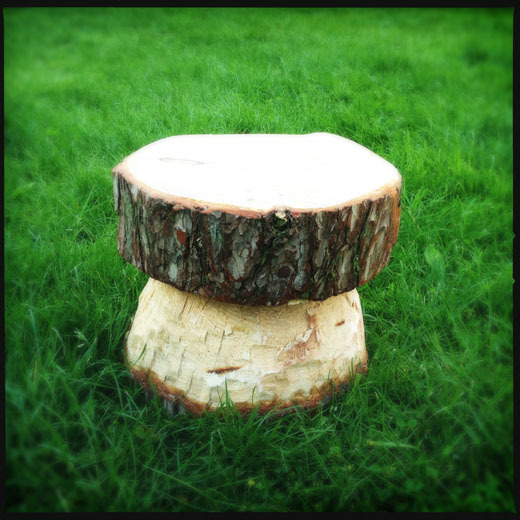 You can easily make a table and stools for your garden in the shape of toadstools out of a couple of very large tree trunk sections. This is great furniture for kids, looks good and is simple to make. Some of the work takes some time, but the effort is worth it. 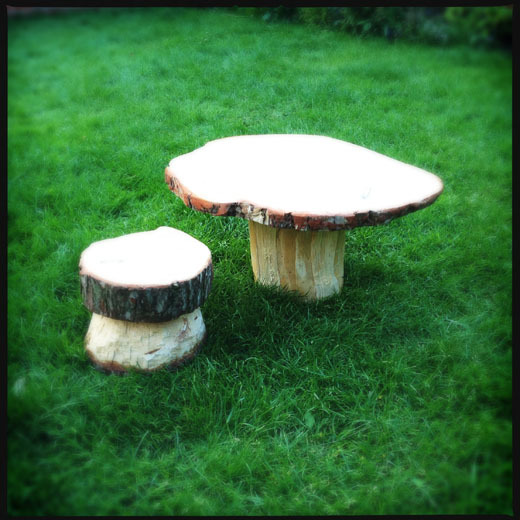 The toadstool table and chairs is a great place to have a picnic, read a book or play with toys. Firstly cut the table top – this needs to be from a very large piece. 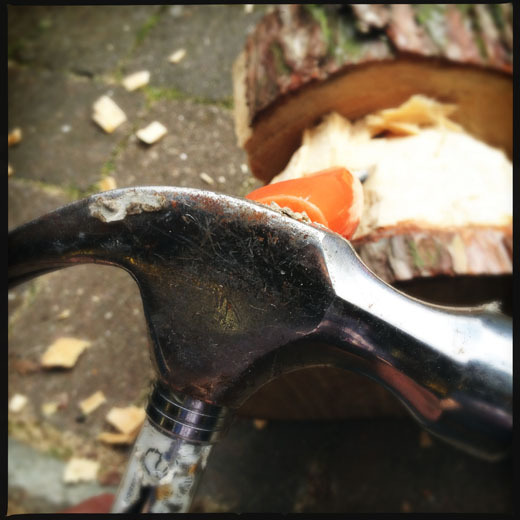 Use the saw to cut this. It may take some time (it took me 2 hours). 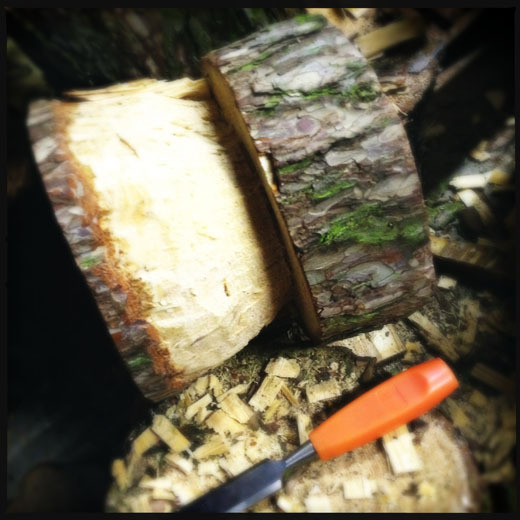 Cut a smaller log so it will be the leg for the table. Make sure that it is wide enough to be a stable base for the table top. 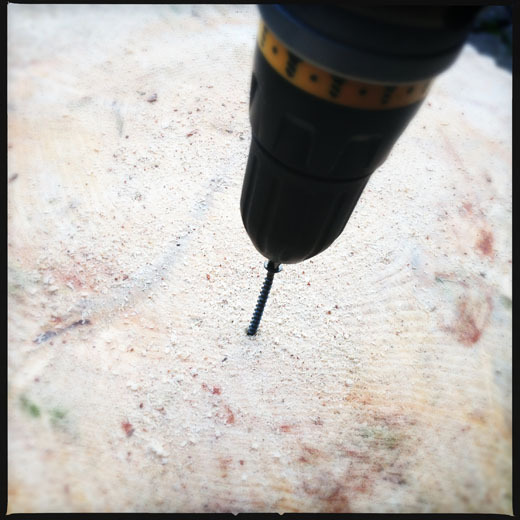 Drill four holes in the table top so that they align to the base. Then screw in the deck screws to secure the top to the base. 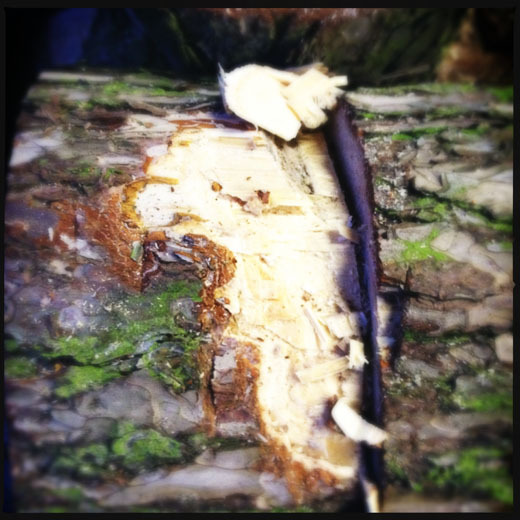 For the toadstool chairs, saw a groove about one third of the way down the log. 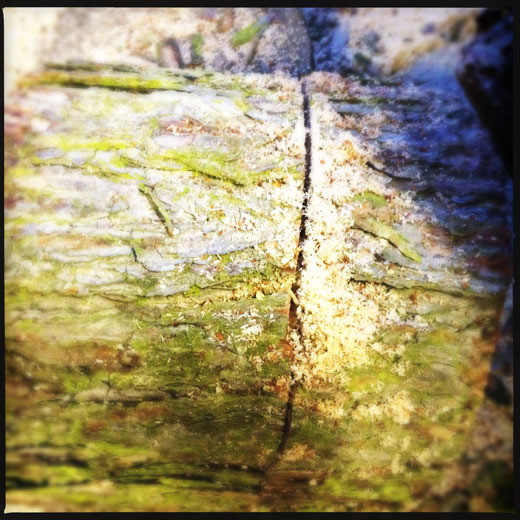 Make the groove’s depth about a third of the width of the log, and saw all the way around. 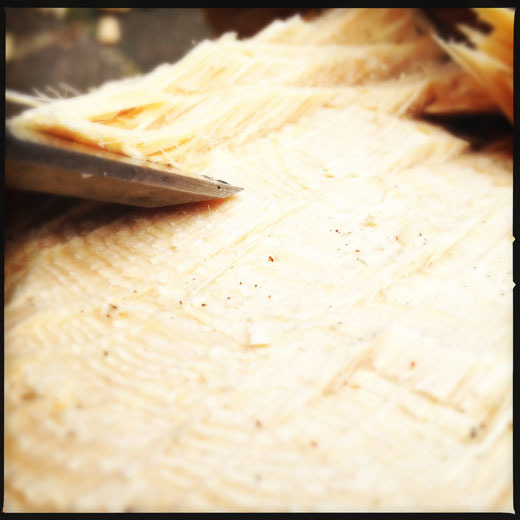 Take the chisel and start to chip out the leg shape. If you chip in from the base to the groove you should go diagonally from wide to thin. 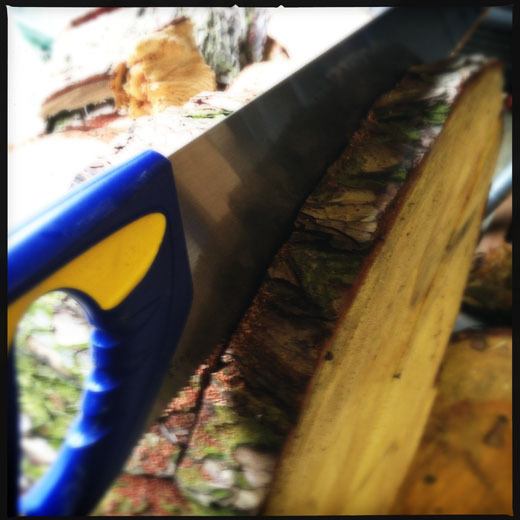 Sand down the finished articles a little to make them smooth, but keep much of the bark and roughness feel to them. You could treat them too, but I quite like the rough hewn look.